The new federal tax law signed last December included a big surprise for nonprofits and churches related to employee benefits. 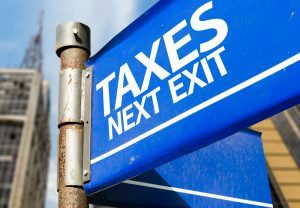 Simple benefits that many organizations offer, are now subject to being taxed as if they are not related to income. Benefits such as: parking reimbursement, gym benefit, or a monthly amount for commuting. Each one of these benefits are expenses clearly however, the new law states otherwise. The Unrelated Business Income Tax, UBIT, only applies to nonprofit organizations. The new tax seems to be puzzling and many nonprofits are having trouble comprehending it. For the entire CalNonprofit article read here. The specific tax form that each nonprofit organization must file to the IRS each year depend on their annual proceeds and assets. Form 990 is a form that tax-exempt organizations file. Nonprofits file this form with the IRS so, the IRS can evaluate how these organizations are operating. This form includes information about the organization’s finances, mission, and agendas. To learn more about the topic of what form your nonprofits may be responsible to file read, Nonprofits Challenges of Managing Payroll and Tax Compliance. Partnering with an HR outsourcing provider means that nonprofits can rely on experts to handle HR challenges quickly and efficiently, utilizing available resources and allowing organizations to focus their efforts on their chosen cause. Emplicity offers HR outsourcing and professional employer services that give clients empowering and all-inclusive solutions for their human resources needs from recruiting and engagement to payroll processing, benefits administration, tax compliance and beyond.